Robert has lived in three facilities since I took over his care. He was first in a Skilled Nursing Facility due to a life-threatening infection and the need for long-term intravenous antibiotics. Then I made the difficult decision to place him in an Assisted Living Facility. Since that wasn’t the best fit, I moved him to a residential facility (aka, New Home). He now lives with us because I think that’s the best fit for him but I am well aware of the importance of professional caregivers. I made sure to notify management of these wonderful employees who went above and beyond in caring for not only Robert but the other residents/patients as well. I am happy to share information about a contest recognizing professional caregivers such as these great people. Please spread the word and nominate your favorite professional caregiver! Thank you to Caregiverlist for the contest and this guest post. Caregivers provide much more than just assistance to seniors, often becoming the emotional support for their senior clients as they continue to confront the process of aging. Caregiverlist, the career and training center for professional senior caregivers, announces a summer photo contest to honor professional caregivers. Caregivers, Certified Nursing Aides, and Certified Home Health Aides may submit a photo of themselves with a senior client to the Caregiverlist Summer Photo Contest for Senior Caregivers. The contest starts Monday, July 8, 2013, and runs through Saturday, August 31, 2013. Winners will be announced before Labor Day. 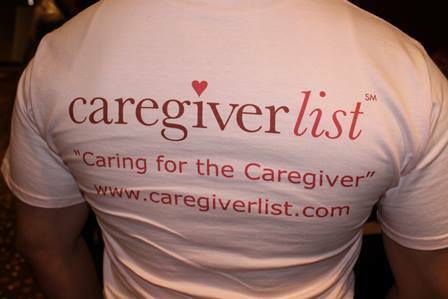 The Caregiverlist Facebook page hosts the contest. Caregivers also may always submit a job application on Caregiverlist to be considered for part-time, full-time and live-in caregiving jobs and find online caregiver training.